Modular Drone AirBlock Review // Future of STEM learning for kids ? Today we have a very special treat for you guys! It’s not another high-end flagship drone model… or a promising toy-grade flyer. Nope! Today, we have a completely different (I’ll even dare to call it innovative) approach to drones which does not implement them in a typical manner but instead uses them for educational purposes. Yes, we’ve had these concepts before, but I’ll go out on a limb here and say that this one makes the most sense to me. Especially when it comes to STEM learning which is turning into the key factor for the development of our youth. With that being said, I am proud to present you with a brand new product that has recently achieved its primary goal on Kickstarter. And boy oh boy, their goal was surpassed by almost 10 times the amount. From $100,000 which was set as the goal, this product got astonishing $829.506. Talk about making an impact! We are basically talking about a STEM learning toy/tool which aims to bring the basics of science, technology, engineering, and math to the youth. And it does so in a brilliant (and most importantly – safe) environment that will encourage children not just to play but learn as well. The main concept behind this product is providing kids with a modular drone design that will let their imagination flow while encouraging them to improvise and experiment with programming to improve the performance of their drone. So, I guess we should cut the introductory section here and jump straight to the topic! Well, actually, first we’ll give you some useful insight in the FAQ section below. 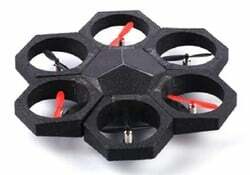 Are modular drones a good STEM learning method? Modular drones, or AirBlock in particular, bring a comprehensive STEM learning experience to your home. By implementing the STEM approach described above, AirBlock serves as a great learning platform. There is a section dedicated entirely to this topic down below, but I suppose giving you some insight right away won’t hurt. You see, kids portray drones as extremely fun toys to play around with. On the other hand, DIY modular drones take the games to another level by providing a clean, user-friendly programming interface. Spice that up with visually gorgeous GUI and you’ll understand why everyone is praising them… or AirBlock if we are to be more precise. What is the best modular drone currently available on the market? 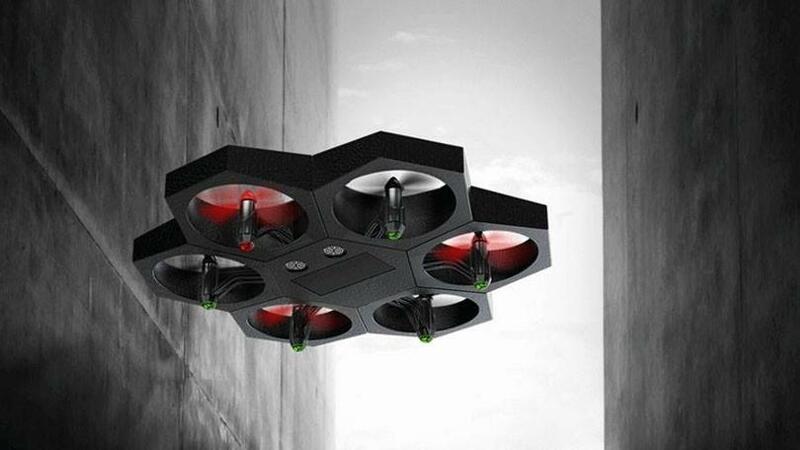 To be honest, AirBlock is the only drone currently available for purchase with a truly modular design. And it has everything under control since it is absolutely amazing! Ever since the Kickstarted campaign started it was receiving nothing but praises. Can these drones hurt my kids? 1st – All wiring is nicely tucked away inside the plastic centerpiece with only “open electricity source” being the magnetic connectors which can’t hurt your kids by any means. 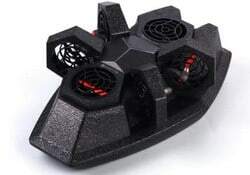 2nd – Motors and propellers are hidden away inside their modules and surrounded with thick foam padding at all sides, making accidents pain-free for your kids and everyone around them. I’m pretty certain you now understand the basics of both STEM learning and the product at hand. 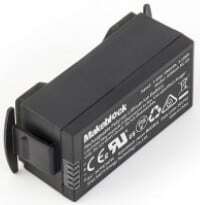 So, without further adue, I’d like to start off with the general overview of its maker – MakeBlock. MakeBlock is a relatively new name in the industry which already has 4 successfully funded Kickstarter projects. Their main concern is not the drone market but educational toys for kids. These include various robots including the AirBlock – the primary focus of this article. 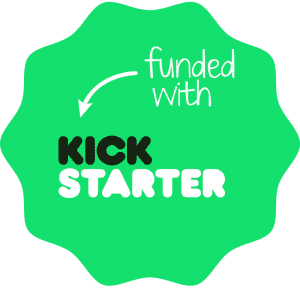 Besides its modular design, there are also several other key factors that helped AirBlock crush the Kickstarter campaign. First of them is surely the practical magnetic connection system which snaps all modules into the correct position. Plus, it is symmetrical on all sides meaning you can rotate the parts to get different models (more on that down below). Additionally, the main centerpiece might look simple at first glance… but in reality, we are talking about a highly sophisticated piece of tech. It integrates a specialized flight controller together with a gyro, barometer and ultrasonic sensors that ensure optimal flight stability. That brings us to the last thing – ease of use! Despite the fact AirBlock is a toy-grade drone that serves as a learning platform, I have to admit I was really struck by the flight responsiveness. It’s fast, snappy and features absolutely no input lag although it works over a smartphone app via Bluetooth. Finally, the stability is absolutely brilliant – you won’t notice AirBlock drifting away unless there’s heavy wind going on. What can kids learn with AirBlock? Thanks to an intuitive Create New Project interface, children can be brought into programming with an easy learning curve. MakeBlock smartphone app uses a simple (yet highly comprehensive) interface, allowing children to focus on the most important bits and learn the basics of how programming works. There is no need to push them into learning… Simply relax and let them explore the modular options of AirBlock on their own. The results will come naturally within the first few days of playing with AirBlock. AirBlock comes in 7 modular pieces. 6 are identical and represent the flying/driving force of your projects. 3 of them sport counterclockwise rotating motors and other 3 sport clockwise ones. The 7th piece is what keeps the entire construction intact and provides functionalities such as gyro, barometer, ultrasonic sensors, Bluetooth module and more. By experimenting with different designs and making the most out of programmable controlling schematics, your kids will develop creativity in a modular manner. This one goes without question – by practicing flying with their programmable modular drone, children will effectively learn their way around 3D moving objects. Needless to say, they will learn a great deal in terms of controlling vehicles in 3 dimensions which will help develop their brain. Who knows, perhaps they willend up falling deeply in love with controlling unmanned vehicles and pursue a career as a drone operator. It’s a flourishing industry that is bound to provide millions of jobs in the foreseeable future. AirBlock drone provides with a good amount of punch thanks to its hexacopter design featuring 6 brushed motors which are more than capable of lifting it up in the air with style. Furthermore, it also comes with a proprietary 2S 700mAh battery that provides all the juice. Going 2S was necessary on such a robust build due to a stronger voltage draw throughout the build disregarding the lack of camera. In terms of flight time, AirBlock can go as long as 6 minutes when used in the default manner – drone. However, if you plan on using it as a hovercraft the play time will go all the way up to 16 minutes since the motors don’t have to be at a constant speed all the time. Operating range is pretty good considering this birdie works via Bluetooth. We are talking about roughly 10 to 15 meters heavily depending on your smartphone’s Bluetooth transmitter. Lastly, I’d like to make clear once again that AirBlock does not feature a camera. However, if you really want your kids to be able to fly FPV with this birdie, you can always get a 5.8G all in one FPV system like Eachine TX01 along with a set of FPV goggles. Snap it in place with some double sided tape and you’re good to go! The first thing most of you will notice once AirBlock arrives is the obvious lack of a physical controller. Don’t be alarmed, it’s not a shipping mistake. 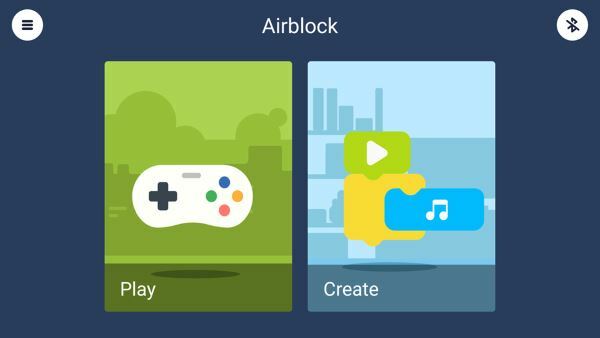 Nope – AirBlock doesn’t require a physical controller. Instead, it is controlled via the MakeBlock app, available on both Android and iOS devices. MakeBlock app’s GUI is highly intuitive and supports your own customizable projects. These, of course, involve a certain degree of coding… but don’t worry, even that part is intuitive since textual drag and drop mechanism is being used for all creations. Once you boot up the app, you will be welcomed with the option to Play or Create. 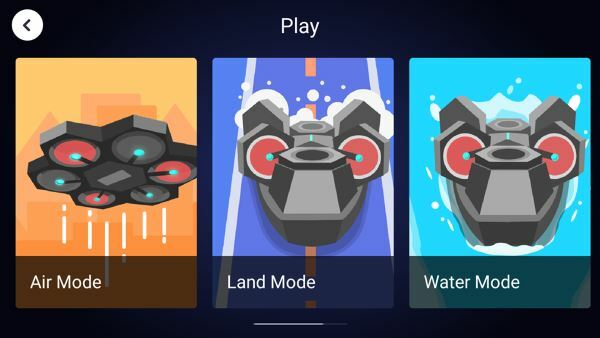 As you can see above, you have the option to choose between the 3 default modes – Air, Land, and Water. 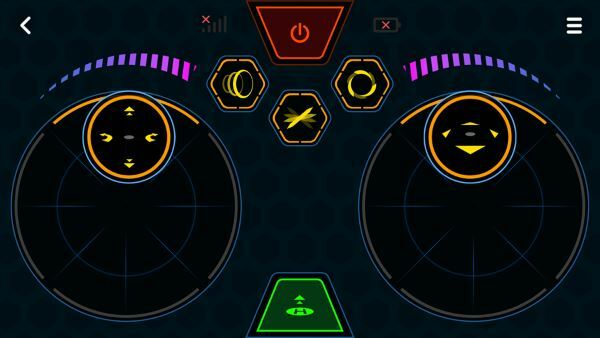 In addition to that, you can also enter the control panel and start a new project where you can program your own controls or even make your modular drone do cool stunts and tricks at the push of a button. If you are more interested in creating your own AirBlock modular projects then Create section is all for you. Simply make a new project based on one of the 3 modes above or a completely customizable one. With drag and drop mechanism and textual coding interface specially designed for kids, there is nothing stopping your little champs from creating their own versions of AirBlock. This software lets your kids customize everything from motor parameters to controlling systems and button placement. 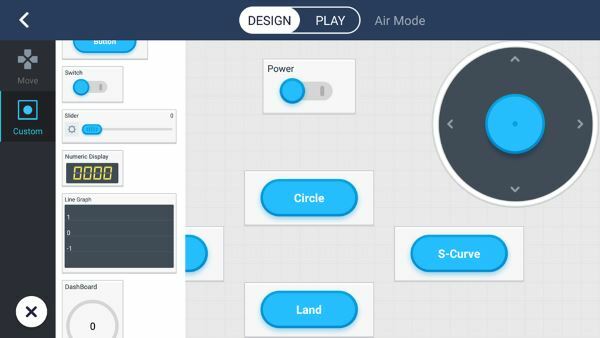 In addition to the basic directional control, MakeBlock app also provides you with on/off switch, telemetry (speed, battery, and altitude) and a plethora of preset flight commands including the likes of hover, landing, circle, s-curve, and spiral. On top of everything you’ve had the chance to see above, I feel like there is one more thing left to be said about AirBlock. You see, even though there are no visible wires or any other dangers that could potentially hurt your children, parents are still concerned about the safety of drones. While this is true for most commercially available drones (and even with drones for kids), as soon as you lay your eyes on AirBlock you will notice that it’s as safe as it can be. That’s due to the fact its modular propeller pieces are surrounded by thick, lightweight plastic foam that is capable of enduring more than a fair share of crashes. In other words, AirBlock is the perfect STEM platform for kids since it combines playing with learning and tops it all off with a 100% safe design!